The stainless steel pressure sensors with thread are available for different pressure ranges. They excel through excellent overload and burst pressures characteristics. The thick film measuring membranes offer excellent high resistance against transient pressure peaks and aggressive media. In addition they are resistant against negative pressures down to absolute Vacuum. Thanks to these properties the stainless steel pressure sensors fits in an excellent way for monitoring processes with fast changing pressure. 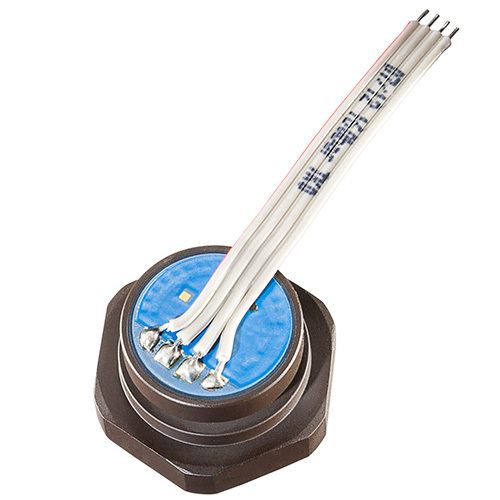 The sensors have a ratiometric voltage output in the range 1,5 to 3,5 mV/V. New price. Only as long as stocks last!